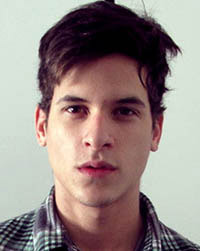 Diego Fragoso was born in Maceió, Brazil, on January, 29, 1991, is a Brazilian male model. He was discovered by a model agent, while he surfing on the beach. Diego began his modeling career at the age of nineteen. He won the Finding The New Hercules competition. He made his catwalk debut for Dolce&Gabbana and Givenchy in Milan. He has a lot tattoos. Fragoso's hobbies are surfing on beaches in Brazil, Philippines and Indonesia. Harper's Bazaar Serbia, The IncredibleS 18 for Esquire Russia, Vogue Espana, JON Magazine, Made in Brazil Cover, Maxim Italia, Forget Them, CLIENT, Homme Style, The Greatest, Essential Homme, GQ Italia, Magazine Antidote, The Ones 2 Watch: New Wave, i-D Magazine, Hercules Cover, L'Officiel Hommes, Men in Italy. Givenchy, Giorgio Armani, Iguatemi 45th Anniversary Campaign Brazil. Walked runway for Dirk Bikkembergs, Giorgio Armani, Emporio Armani, John Richmond, Givenchy, Dolce & Gabbana, Ports 1961, amfAR, Vivienne Westwood, Philipp Plein, Smalto, Ermanno Scervino, Carlo Pignatelli, Calvin Klein, Mugler. Represented by agencies New York Model Management, 2pm Model Management Copenhagen, d'management group Milan, Nathalie Models Paris. I was surfing when I was approached by a man and he asked me if I wanted to be a model.